We are pleased to announce an agreement with the journal Processes. All future articles published in Processes will now be automatically indexed and included in LAPSE! 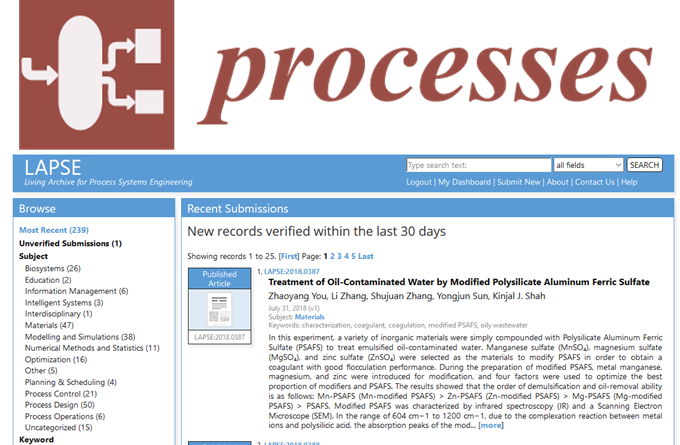 This makes it easier for Processes authors to connect their research to related materials such as conference presentations, model and simulation files, experimental data, or other related works using the record map feature. This also increases the exposure, hopefully leading to higher citation counts for the authors. Currently, all items from Processes Volumes 4-6 are available in LAPSE, with volumes 1-3 coming soon. Going forward, each new issue will be deposited into LAPSE as they are published.